A Vue.js component that imitates typing text just like the typewriter. Place it in your files to make a text appear as if someone was typing it. To start working with the Typewriter Component use the following commands to install it. The props of this component are available here. That's it! 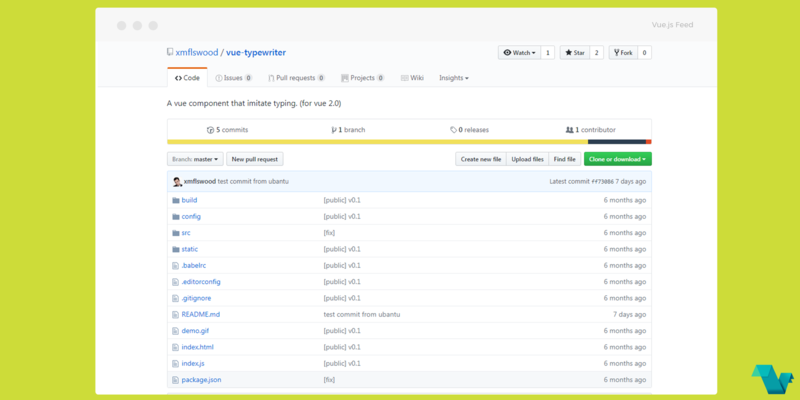 If you would like to get started with vue-type-writer, head to the project's repository on GitHub, where you will also find the source code.